Costa Rica is one of the favorite travel destinations for a good number of people from across the globe. This Central American country is bordered by two amazing ecosystems, the Pacific Ocean and the Caribbean Sea. With only 51 100 square kilometers, constitute one of the most diverse countries, it has the 4% of the world biodiversity. Numerous things make this country the perfect travel destination for your family vacations. We will show you some of our highlights, so you can have a better idea of what you can see during your Costa Rica travel. 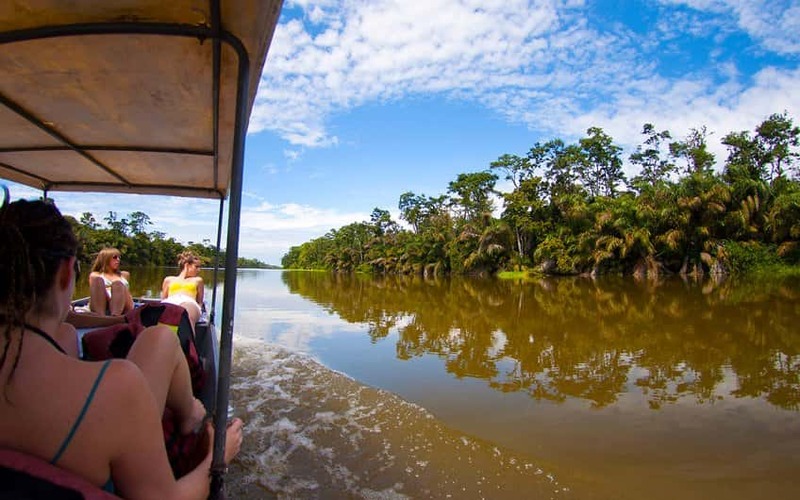 The Tortuguero National park is considered by conservationists as a vital breeding ground for green turtles. Turtles are considered as endangered species at risk of extinction. Therefore, their breeding grounds should be jealously guarded. Visiting the park at night is the perfect time to see the beautiful turtles laying their eggs. Additionally, manatees and sloths are seen at a close range in this park. San Jose, the capital city is undoubtedly an interesting tourist attraction. Attractions such as the history museum, National Theater, Gold or Jade Museums, as well as the Central Market must be visited. Volcanoes are also an interesting thing to watch. Most of these are found in national parks. For example, the famous Poas Volcano National Park or the Irazu Volcano, two active volcanos and two of our most visited national parks. 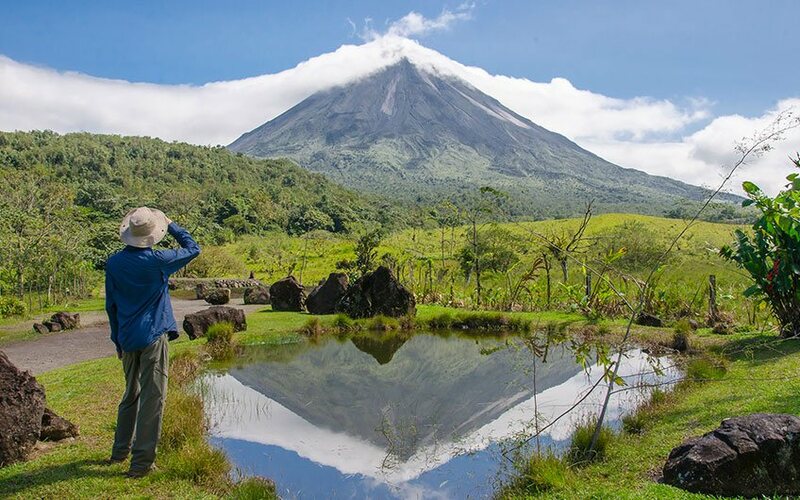 The Arenal volcano, which has the Arenal Lake nearby, is the only volcano in Costa Rica that people can watch it while kayaking on the magnificent lake thanks to its conical shape. Arenal is one great spot for Costa Rica family adventure vacation. The place has a lot to offer, and of course you don’t have to forget the mineral hot springs waters that will delight yourself during your stay. Monteverde is part of the cloud forest, a magical area house of many species of flora and fauna, where the most beautiful thing that you will see there is the evergreen forest, a place to relax while you are listening the water fall. This is certainly a place in for families! The Corcovado National Park is a secluded incredible area immersed into the dense forest is one of the most diverse areas of Costa Rica, as it has almost the 50% of the country biodiversity. There is located the Caño Island, which is the second best spot for diving and snorkeling in the country. 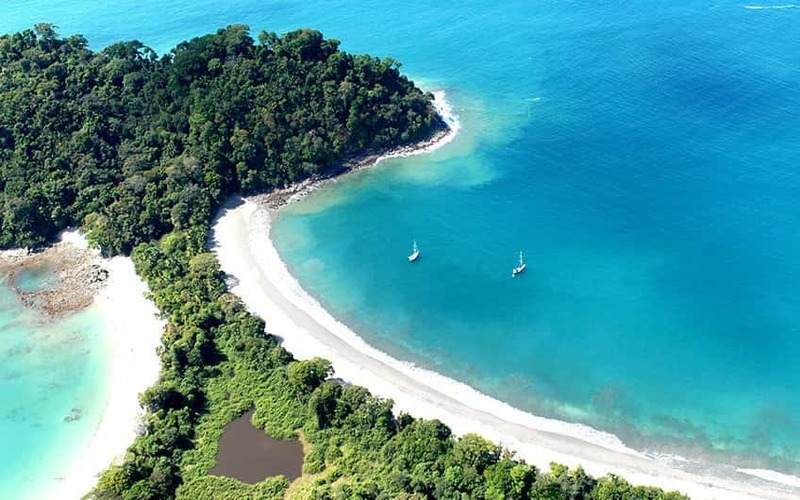 Manuel Antonio National Park is located in the Central Pacific side of Costa Rica, where other beautiful beaches are located too. In the national park is possible to see sloths, monkeys and if you are lucky enough you can see deer too, as well as different birds which makes it a great place to do some birdwatching. Its beaches are beautiful, small, and secluded, another perfect spot for family trips. If you are planning to come to the country for your vacation, then a vacation package will ease a lot the planning process. Tip number one - Take advantage of the green season also known as rainy season (May through November). You can find the best travel deals for stays during this season. So take your time and analyze the possibility of planning your vacation tour packages for the green season. Important, regardless of your travel dates, make sure to bring a light rain jacket and walking shoes, usually it rains year-round in this tropical country. Tip number two - It is important for you to know that unlike other countries in Central America, here you can find clean potable tap water throughout the country. Also, most tourists find that they can enjoy the Costa Rican local food without repercussions on their stomachs. Please remember to carry your own reusable bottle of water, you should be drinking water while enjoying your family holiday, as the humidity of the tropical country can affect you, and you could become dehydrated. Tip number three - If you are planning on renting a car, we highly recommend you to rent it with GPS, as directions to the different tourist destinations can sometimes be very difficult to follow, even for the Ticos (Costa Rica citizens). Also, we highly recommend to ask your travel agency or tour operator about the road conditions of the destinations you want to visit, depending on the destination and the travel dates, you may need to rent a 4x4. Our Costa Rica map is also available if you want to know more about the destination you will be visiting. Tip number four – During the enjoyment of your vacation package is not very necessary to carry cash because most of the stores, supermarkets, restaurants and hotels accept credit cards. If you decide to carry cash, then is never a bad idea to prevent any situation and be careful. Please note that you do not need Costa Rica currency exchange as you can pay with US dollars and is important for you to consider that you can easily find an ATM. Tip number five – Please do not forget your mosquitoes repellent and your sun block because you will visit a tropical country, which is humid too. When taking your tours during the day, the sun is usually shining around the country so sun block is necessary, even you do not feel heat wind can burn too; additionally, the humidity and the exuberant vegetation attract mosquitoes so you need to be protected. We hope these quick tips can help you plan your next vacation package to Costa Rica. If you need more tips or other travel advice, feel free to contact us, we will gladly help you. Please also, leave us a comment if you think this article is helpful for your vacation.